The UAE is one of the most cosmopolitan and investment friendly destinations in the world. India’s trade relations with the UAE is centuries old, and thousands of Indian investors, both individuals and corporate, have invested billions of dollarsin the UAE. However, it is surprising that many of them are unaware that the UAE legal system is considerably different from the Indian system. The UAE follows the civil law system, heavily influenced by the French and the Roman systems. A strong Egyptian influence is also present, being one of the most modern legislations in the Arab world. One of the distinguishing features of the UAE legal system is the co-existence of parallel judicial systems. The UAE has a federal judicial system with a Court of First Instance, Court of Appeal and Court of Cassation. However, interestingly, this is followed only by four emirates. Abu Dhabi, Dubai and Ras Al Khaimah have their own independent judicial systems parallel to the federal system. All the courts have three different branches, to deal with civil, criminal and personal matters (Sharia courts). Only UAE/GCC national lawyers are permitted to appear before the courts (Lawyers from certain other Arab countries were given license earlier, however, this practice was stopped a few years back). Since the UAE follows a civil law system, the court proceedings are significantly different to the courts in India.An important aspect to note is the non-adherence to precedence (adopting previous judgments of higher courts as binding). Though the lowers courts generally follow the Cassation Courts’ judgments, there is no legal obligation to do so. Each case is decided on its own merits. The co-existence of parallel judicial systems also plays a role here, and there have been instances where the courts of different emirates adopting different approach on similar matters. There are no witness examinations or discovery of documents. The pleadings submitted by the parties have a crucial role in the outcome of the dispute. This also means that the choice of lawyers is a vital decision to be made. It is important to engage lawyers who have a certain level of professional experience, subject sector expertise and understanding of the local culture. The courts often seek the assistance of experts, particularly, in matters involving technicalities. The courts maintain a list of qualified experts on a variety of sectors, and in most of the matters, their report is followed by courts. 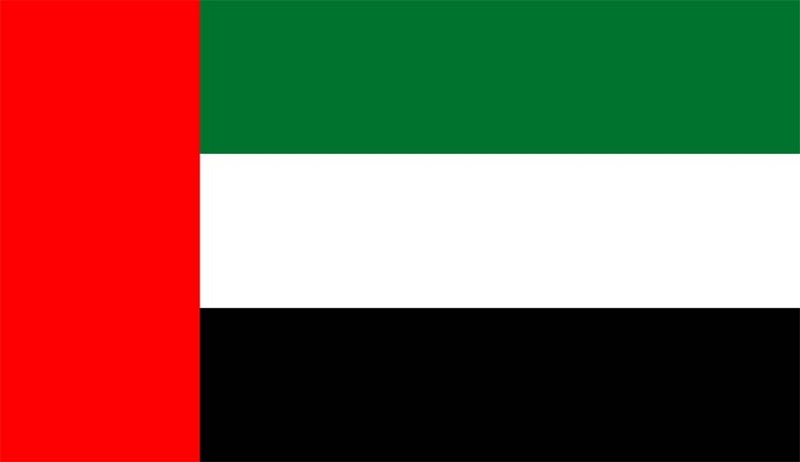 The official language of the UAE is Arabic, and the court proceedings are conducted in Arabic. Accordingly, the parties to a litigation are required to translate all the documents to be submitted to the court into Arabic. This may be an expensive and onerous exercise depending upon the volume and technicality of the documents. Many of the litigants are surprised by the short timeframe within which disputes are resolved by the courts. Generally, it will not take more than 2-3 years to get a final judgment from the Cassation Court. The courts are encouraged (in certain emirates, instructed too) to have hearings in no later than two weeks, to facilitate a speedy adjudication. It is interesting that the UAE – which follows a civil law system – also has a judicial body that administers justice under the common law system. The courts of the Dubai International Financial Centre (commonly known as DIFC, one of the best financial free zones in the world) follow common law system. This is a bold and innovative step taken by the ruler of Dubai to comfort the investors from countries following common law system, including India (Dubai was the first jurisdiction in the Middle East to set up a common law compliant judicial system, in 2004). The jurisdiction of the DIFC courts has been extended by the government, and now, the DIFC courts are authorized to hear disputes arising out of transactions, or between parties, outside of the DIFC. This is a significant step considering that many foreign investors in the regionare uncomfortable submitting themselves to the jurisdiction of the local courts, primarily due to lack of understanding of the system. The recent years have witnessed a phenomenal growth in alternate dispute resolution, particularly, arbitration. The presence of world class arbitration centres like the Dubai International Arbitration Centre (DIAC) and the Dubai International Financial Centre-London Court of International Arbitration (DIFC-LCIA) are the preferred choices of many investors in the Middle East. To help investors resolve their disputes in a cost-effective and informal manner, certain government departments (e.g. Dubai Department of Economic Development) has started mediating its members’ disputes. The Small Claims Tribunal attached to the DIFC permits parties to choose its jurisdiction to resolve their disputes, even without the assistance of lawyers. The UAE government clearly understands the importance of an independent world-class judicial system in attracting foreign investment. Accordingly, they have adopted certain path breaking measures in this regard, and have created multiple options for the investors,to suit their varied background and requirement. Now, it is for the investors to identify, analyze and understand the suitability of these options and utilize them to better protect their interests! *The UAE is one of the few Muslim countries in the world that has a codified personal law (based on Sharia). The Personal Status Law governs matters like marriage, divorce, inheritance etc. This law is applicable to all Muslims, irrespective of their nationality. However, non-Muslim citizens and expatriates are given the freedom to opt out of this law and choose their own laws. For e.g. an Indian Hindu in the UAE is free to choose to be governed by the Hindu Marriage Act.